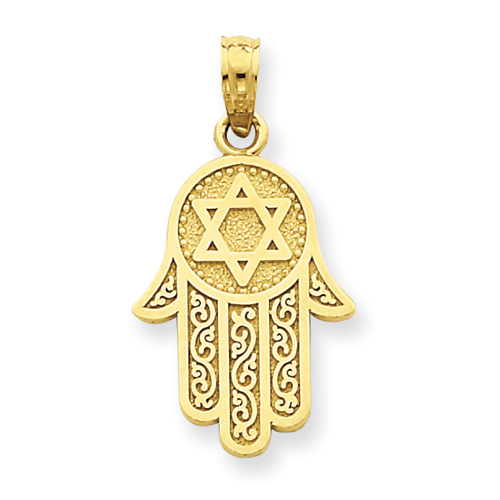 This small 14kt yellow gold Jewish hand of god with Star of David pendant has a polished and satin finish. Item measures 1/2 inch wide by 11/16 inch tall without loop and bail. This item is the size of a dime. This item is about the size of a dime. Textured back. Made in Peru. Weight: 1.39 grams.